Is your waiting room reading an after-thought? What last year’s gossip magazines say about you. Two contrasting clinic visits last week. One, bright, newly painted and the other, tired and dull. One, nice selection of current magazines, the other; copies of last year’s celebrity gossip magazines. Like a restaurant where the experience is not just about the food, in a clinic patients are looking at the details. It is not that the choice of reading material affects the treatment, but poor reading material detracts from the experience and reflects badly on the clinic. 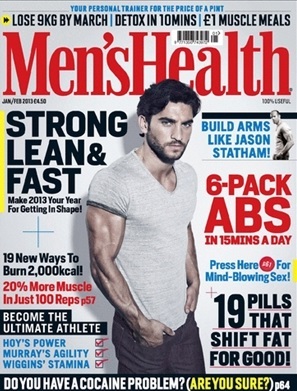 For £25 a year why not get a subscription to a magazine, like Mens Health. Or, use a service like http://www.dltmagazines.co.uk where you can get 8 magazines delivered every month at 50% cover price. I also notice the type of soap in the toilet, for an extra 50p or £1, give patients something a little luxurious! It all reinforces the impression a patient gets from you. Regarding the two clinics – guess which one was busier … no surprises! How much sugar is in your bottle of lemonade? See the shocking picture here! 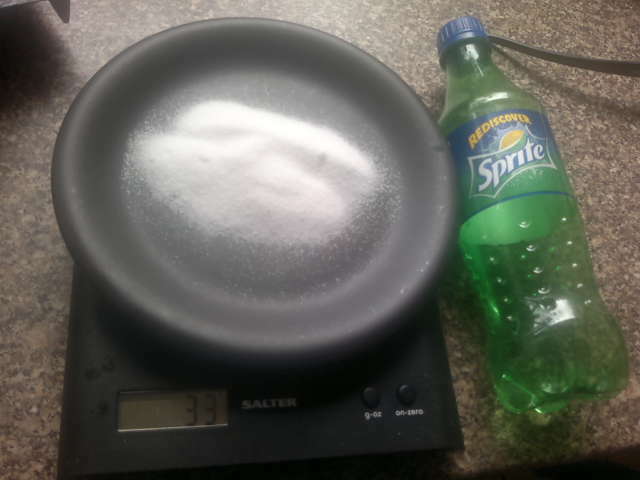 Do you like lemonade, then the picture below shows you how much sugar is in a typical bottle. Yesterday I popped out with my youngest daughter. She bought a bottle of a well known-brand of lemonade. I made a small remark that since it was a sugary drink, we’d be thirsty again in no time (not a complaint, it was very hot yesterday!). So I asked her how much sugar it said was on the label. Good news, 30% less than normal. OK, what does that mean? Well the label says there are 16.5g of sugar per 250ml. OK, but isn’t this a 500ml bottle?! So what’s that? oh, 33g of sugar. So I asked my daughter, what does that amount of sugar look like? Neither of us had a clue. So, we decided to (well, I was on a roll so I said we were going to!) measure out 33g of sugar. With our teaspoon it was just over 7 spoons of sugar! If a child put 7 spoons of sugar in a cup of tea, we’d be flipping out, but somewhere in the interest of “staying hydrated” children are being pumped with sugar! Children are at least half the size of adults (though clearly not the ones who drink fizzy drinks all day). Proportionately, putting 7 spoons of sugar into an adult is like putting 14+spoons of sugar into a child. And we wonder why kids go hyper after fizzy drinks! I looked at the bottle of cola in my fridge. Whilst this lemonade has just over 6g of sugar per 100ml, the well known brand of cola in my fridge has over 10g! To my maths that’s more than 50% more! To wean children off sugary drinks, experts recommend progressively diluting fruit juice with water, or better still, h2o – way to go! International Distributor of IDD Therapy, SDS SPINA, Accu SPINA, Thermedic Infrared Therapy Systems and HydroMassage dry hydrotherapy.